There are many benefits to buying a whole house humidifier. These machines can instantly make the air in your home feel more comfortable while combatting many health issues associated with dry air. Not only will it alleviate itchy eyes and dry skin, it will keep your sinuses and nasal passages from becoming irritated. Best of all, your houseplants will thrive and your furnishings and hardwood floors will last longer. With so many types available, it is hard to pick one. The following information will help you decide exactly which whole house humidifier will work best for your home and budget. The Aprilaire 700 Automatic Humidifier is the gold pick due to its ability to humidify larger spaces at a reasonable price. This model is capable of taking on the larger humidification jobs required of today’s bigger homes. It includes a digital control with an easy to read display screen that is ideal for these sized houses, and it will help you alleviate many of the irritating health problems associated with stale, dry air. This whole house humidifier can handle up to 4,200 square feet within a tightly constructed house. It delivers as much as 50% more moisture to your home’s air than many of its competitors. You will get a lot of bang for your buck with this unit, and it is quite easy to operate once you have it installed. While in manual mode it will provide you with temperature, vital service, and relative humidity indicators. Having the annual maintenance performed on this humidifier will allow it to continue humidifying your home quietly for years to come. You will be getting an evaporation capacity that averages 0.75 gallons per hour. This makes the Aprilaire 700 one of the highest capacity models available. It measures 16 by 11 by 18 inches, and it weighs 15.8 pounds. Manufactured by the APR Supply Company, it comes with a wired outside temperature sensor. The entire piece is mounted on your existing furnace, and it functions with the use of your home’s ductwork. This particular whole house humidifier is designed to be installed on your furnaces supply, but the cold air return can be used as an optional location. You will notice that you need to change your filters more often, but this isn’t indicative of a problem. In fact, this is an indication that the humidifier is working properly. The higher percentage of humidity in the home causes the airborne dirt to stick better as it passes through the filters. In other words, more dirt and debris from the air is being filtered out. This leaves you with cleaner air to breathe than if you didn’t have the Aprilaire 700. You can run the blower on your furnace to operate this humidifier without engaging the furnace’s heating function. The wiring schematics found in the owner’s manual give instructions for installing the humidistat along the G wire between the furnace and your thermostat. This is found under the Automatic Operation section of the manual. As long as it is installed correctly, you should have no problem using the blower on its own. It is also recommended that you install this humidifier on the supply side of the furnace instead of the return side. Although some people like having it connected to the hot water supply, be aware that the drip design will use plenty of water. Using hot water rather than cold water can increase the overall cost of operation. If you plan to install the unit yourself, it can take between three to six hours. You can also hire a professional technician to do the installation, but if you do try it on your own, you will need a few supplies to complete the project. This includes quarter inch copper tubing to carry the water to the humidifier, half inch plastic tubing to be used for drainage, a saw for cutting sheet metal, two electrical terminals, a pipe cutter, foil tape, a permanent marker, and a level. There are five basic steps involved. You will first run electric for the transformer and outlet. Next you will cut a hole in which to hang the humidifier. Now you can add the water line and complete the wiring. The entire process is wrapped up by adding the PVC pipe and hosing for the drainage. Online reviews are quite favorable for the Aprilaire 700. It comes highly recommended by professional furnace technicians, and home owners are very pleased with the job it does throughout their houses. People love that this humidifier is quiet when it operates. It does an excellent job of evenly supplying the home with the proper amount of humidity. Those with finished basements, as well as second floors, say that it works nicely throughout their homes. 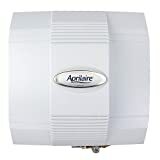 The thing people enjoy the most about the Aprilaire 700 whole house humidifier is that they no longer have the sinus issues they once suffered from. It is extremely useful for families with new babies or small children who can easily pick up viruses when the humidity levels are too low within their home. It can make any house feel more comfortable when left to run automatically. The variable speed Essick Air 696-400 Whole House Humidifier has a beautiful credenza style to it that will fit in nicely with any home décor. Its light Oak finish gives it the appearance of high end furniture. It is designed to humidify your home without disturbing that overall look of your living space. It is a Bemis humidifier that will improve your air quality and the comfort of your home from one end to the other. The additional moisture this humidifier will supply can help you and your family members with any respiratory issues or dry skin problems. It also provides protection for your furnishings, plants and electronics that can have adverse reactions to arid conditions. This model uses an evaporative wick design that emits an invisible humidity that avoids the spray, dust, and mist caused by similar humidifiers. The Essick Air 696-400 easily covers up to 2300 square feet, and it outputs 11 gallons each from its two tanks. The variable controls are straightforward when it comes to humidity and airflow. A quiet nighttime setting is also included with an automatic humidistat. The two stage Air Care filter will trap any particles or minerals, and the refill light makes this humidifier simple to monitor. An automatic shut-off keeps the unit from overheating. The credenza shape of this whole house humidifier measures 29 5/8s by 14 7/8s by 25 3/8s inches. The entire piece weighs 29 pounds. You can easily move this piece due to the castors found underneath it, and it includes a plastic housing offering a light oak, imitation wood finish. A full one year manufacturer’s warranty comes with it. Routinely replacing the filter will keep your humidifier operating smoothly. You will need to remove the water containers and the motor/fan unit. It will look like it is an empty box, but you will see where the filter hangs at the back of the piece. This filter can be slid out along the two plastic guides found below the fan and along the base of the machine’s water tray. It must be replaced with a filter that has a matching part number in order to function correctly. Once the filter is changed, all of the other parts can be put back. Thoroughly cleaning the inside of the humidifier at least once each year is highly recommended. Each of the Essick Air 696-400’s tanks have a cap with a small plunger attached. When the tanks are empty, these plungers tell the unit to turn off. You will find two knobs on your control panel. One operates the fan speed while the other regulates the humidity level. You will set the humidifier for your desired level of humidity. When this point is reached, it automatically shuts off. You will know you have the level set to high if your unit never shuts off. If the humidity level is set to low, the machine will not come on. You will need to adjust it to your own personal taste. Online reviews state that this device does an excellent job of providing humidity to their homes. Most people recommend leaving the fan speed on medium. It can become rather loud in the high position, but most home owners don’t use this speed often. Those who own one love how they can adjust it to accommodate everything from a small home to a large house. It looks terrific, and it functions well. The AIRCARE MA1201 whole house evaporative humidifier is a console type of humidifier that can manage a house with as much as 3600 square feet of space. It has a total dimension of 20.5 by 21.5 by 14.5 inches that makes it small enough to fit anywhere without disrupting your home’s décor. It comes in all white, and it has a digital humidistat that will automatically keep your home at your desired humidity level with digital accuracy. Once your home’s air has the desired level of humidity, it will automatically shut off. It will also shut off when it is empty. This device is easy to keep clean, and the evaporative wick captures all mineral deposits. It operates smoothly without any belts, wheels, or pulleys. The three speed motor includes a quiet setting for nighttime use. You will find a check filter indicator as well as a water refill alert. The tank has a 3.6 gallon capacity for 36 hours of runtime. It is lightweight at 13.5 pounds which will mean it is portable enough to move it from room to room in your home. It is electric, and it is manufactured in the United States. The cord is 60 inches long so that you aren’t limited to keeping it next to the outlet. The AIRCARE MA1201 works by moving the dry air through its saturated wick filter. This provides you with invisible moisture that can raise the indoor humidity level to 43% or greater. It can trap 86% of the flu virus particles found in the air in order to provide your home with clean air to breathe. The proper humidity levels achieved from this unit will also reduce dryness, alleviate itching, help treat allergies, and sooth your nasal passages, throat, and sinuses. The additional moisture can even help to reduce pet dander and other airborne allergens. The evaporative humidification that this model provides can create healthy, more comfortable air within your home. It is one of the most effective ways to raise humidity levels while saving money on your energy costs. Not only is it an efficient method of humidification, it can help you lower your thermostat while remaining comfortable during colder months. Another added perk is the way that it helps protect all of your fine furniture and hard wood floors. The AIRCARE MA 1201 is one of the best ways available to achieve whole house humidification without modifying your home’s HVAC system. It runs quietly enough that you can easily have a conversation or watch TV with it on. The highest speed is a little bit on the loud side, but most people set theirs on the middle settings. F1 is the lowest setting, and those who already own this model describe it as barely audible. Online reviewers love how this humidifier has castors so that it can easily be moved. They also like how it blends in to their home décor. It is simple to operate with one on/off power button, one button to set your humidity level, and one button to set the manual or automatic operation levels. Owners highly recommend using the bacteriostatic water treatment to reduce mold and mildew growth on the filter as well as reduce the lime, calcium, and scale build-up. They also suggest placing the unit carefully within the home. Rooms closest to it will have the highest humidity levels while those further away will have lower levels. If you are looking for a well-made humidifier that doesn’t cost a lot, the Honeywell HCM-6009 Cool Moisture Console Humidifier is just what you need. It is created for multi-room use while providing you with maximum comfort. It works well in large spaces, and it includes QuietCare Technology. This device is 30% quieter than similar models. The dual tanks are simple to fill and clean with their wide openings. You will find this humidifier has multiple output settings to choose from as well as an adjustable humidity control. It runs for 24 hours before it needs to be refilled. 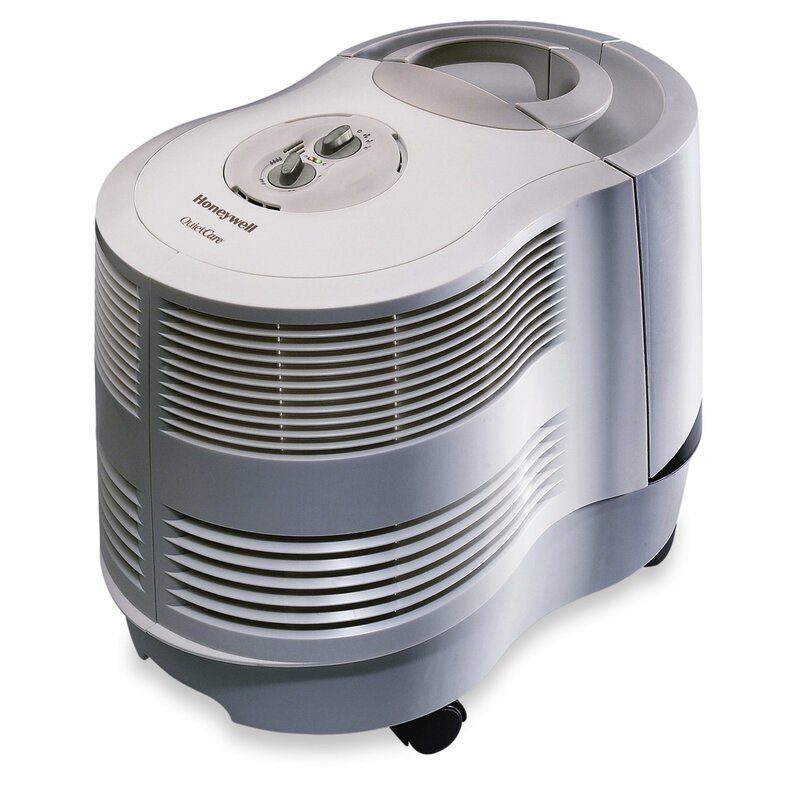 You will find that the Honeywell HCM-6009 will temporarily relieve the discomfort associated with dry air. It will sooth your nasal passages and throat which will help you get a better night’s sleep, and it can relieve the discomfort of coughs and congestion. Static electricity is reduced, and even your plants and furniture will benefit from the higher levels of humidity. This whole house humidifier is constructed for convenience. Dual tanks provide easier filling and makes the unit simple to carry. Cleaning is a snap, and the three speed settings allow for easy operation. It can handle areas up to 1900 square feet with its evaporative technology. This technology eliminates the white film found when operating mist humidifiers. Air is blown over a wick filter. The water that crawls up the wick will evaporate in the dry air as it blows by. The wicking process is natural, and it allows invisible moisture to be cast back into the room. It measures 23.1 by 15 by 17.5 inches and weighs 19.9 pounds. Due to the smaller size of the fan in this unit, it uses less energy than similar designs. Online reviews rate this as a good pick for the price. It is small and the fan can be a little on the loud side, but it has the well-known quality associated with the Honeywell name, is available at a fair price, and has a consistently good reputation. This humidifier will work well in smaller spaces, and it can raise the humidity levels quite quickly. The sound has been compared to that of a small fan one would run during the summer months. Most people said it reminded them of a white noise machine running in the background. Many who own the Honeywell HCM-6009 Humidifier like that it has an attractive appearance and is very easy to set up. It is an excellent option for seasonal use. Before you buy a whole house humidifier you will need to research online reviews and consider all of your available options. 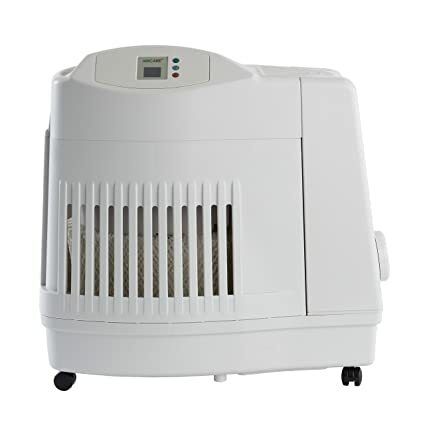 If you are only experiencing dryness during the night, only in a few specific rooms, or only at certain times of the year, you may want to purchase a room humidifier rather than a whole house unit. Those who find their house to be too dry for several months of the year, or are experiencing health problems due to dryness, are the ideal candidates for a whole house system. Whole house humidifiers will spread moisture evenly throughout the house through the heated air from the furnace. There are two types of whole house humidifiers. The first one is a steam humidifier. This unit will heat water in a canister and convert it to steam. This steam is then forced through your ductwork. The other type is an evaporative humidifier. This has a ceramic coated evaporator pad that is saturated with water. The warm air will pass over the pad and gather moisture. The moisture rich air is than circulated throughout your home. These are also referred to as bypass units, and they are installed inside of your ductwork. They work with the use of your furnace’s fan. As the furnace warms the air, it is pushed by the fan through the humidifier. Certain parameters need to be considered when you are trying to decide which whole house humidifier would be the best for your home. Units that are integrated with your furnace’s existing ductwork have the fewest installation problems, and you will only need to have them maintained once a year. Stand-alone systems require more care, and they have to have their water supply checked frequently. While the cost of operation for each type of humidifier depends on how often it is running and its efficiency, evaporative models are often less expensive than the steam versions. Your top concern when selecting a whole house humidifier is its capacity. The unit has to have enough capacity to offer moisture for the entire home. You must be aware of the square foot area of your house. The common rule of thumb is that you will need 12 gallons per day for humidification of a space measuring 3,000 square feet. Humidification calculators can help you make a more detailed estimate. Several furnace manufacturers provide humidifiers that will work with your furnace system. It is a good idea to go over your furnace’s warranty information before installing a humidifier even though the warranty is not normally affected. Some models have high-end control options that can regulate the humidification regardless of your home’s heating technique. Others will have a humidistat that you can set according to your preferences. These humidistats can be connected to your air conditioning system. This allows it to control the AC according to the fluctuations in your home’s internal humidity level. The user guides will recommend humidity settings suitable for your situation. Reversible whole house humidifiers can be installed on either the cold air duct or the warm air plenum. Some may also require a drain connection. Read all of the instructions before beginning installation. Be aware that there are a few systems that require the installation to be done by a licensed HVAC technician in order for the warranty to still apply. Routine maintenance of your whole house humidifier can prevent the growth of germs. The humidifier pads of the evaporative units will need to be replaced each year, and steam humidifiers have to be flushed annually to get rid of sediment. The owner manual will instruct you on proper care of your system. If you are looking for a reliable whole house humidifier that will keep your humidity levels consistent in every room of your house, our gold pick is perfect. 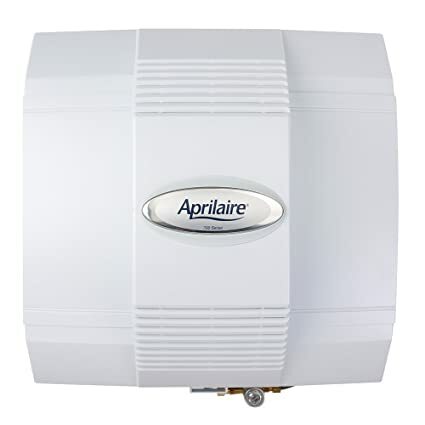 The Aprilaire 700 Automatic Humidifier attaches to your homes existing HVAC system. Humidity is evenly spread throughout the house through your home’s ductwork. It is easy to install, and helps eliminate many if the health issues associated with dry conditions. Those looking for a well-made, easy to use whole house humidifier at a middle of the road price point would be quite pleased with the Essick Air 696-400. 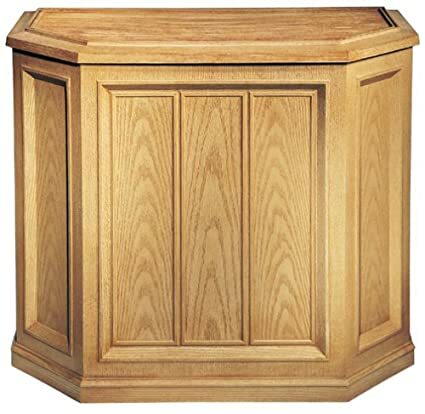 Its light Oak finish allows you to place this piece anywhere within your home without it looking out of place. It does an excellent job of providing humidity to several rooms while keeping allergens and pet dander to a minimum. Another good option is the AIRCARE MA1201 whole house console. Although not as fashionable as our silver pick, this piece does blend in well with any home décor. It offers a reliable humidity level with the option of a quieter nighttime mode. The Honeywell HCM-6009 Cool Moisture Console Humidifier is our budget friendly choice. It won’t have quite as many options as the pricier models, but it does an excellent job of raising your humidity levels quickly. It offers all of the benefits and health advantages that the other recommended humidifiers have, and its construction allows for easy maintenance and cleaning that you can do yourself. Its compact size makes it portable, and the aesthetics won’t become an eye sore in your home.